Think of a supergroup, and you’ll probably come across the likes of Them Crooked Vultures (Dave Grohl, Josh Homme and John Paul Jones), Broken Social Scene (featuring members of Stars, Feist, Do Make Say Think among others) or The Raconteurs (Jack White, Brendan Benson), but supergroups don’t necessarily have to be the biggest names collaborating. 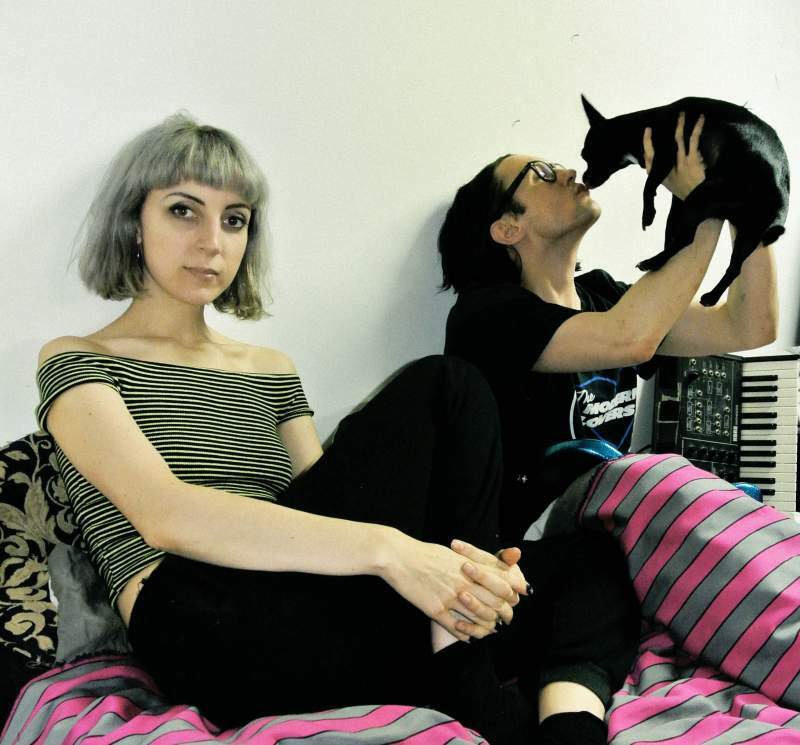 Take Menace Beach, for example, the project formed by established musicians on the Leeds music scene Ryan Needham (Komakino) and Liza Violet (Department M). Setting up new and exciting musical projects is often a favourite past time for musicians, regardless of where they are in their career, and Menace Beach is certainly just as exciting as it was when it was established in 2012. Maybe it’s due to their frequently rotating line up (which has featured the likes of Pulled Apart By Horses’ Robert Lee, Nestor Matthews of Sky Larkin, and many more) which has kept things fresh for the band. The surreal synths of third album Black Rainbow Sound is as suitably outlandish as you would expect from such a paradoxical title, and the titular track is exactly the kind of bizarre electronica you need in your life. See them in all their live glory at The Cluny on Tuesday 23rd October.